Verne Troyer, Actor Who Portrayed Mini-Me In 'Austin Powers,' Dies At 49 Troyer died on Saturday, according to a statement posted to social media. The cause of his death was not given, but representatives acknowledged his long battle with depression. Actor Verne Troyer, seen in 2008 at the premiere of The Love Guru, has died at age 49. 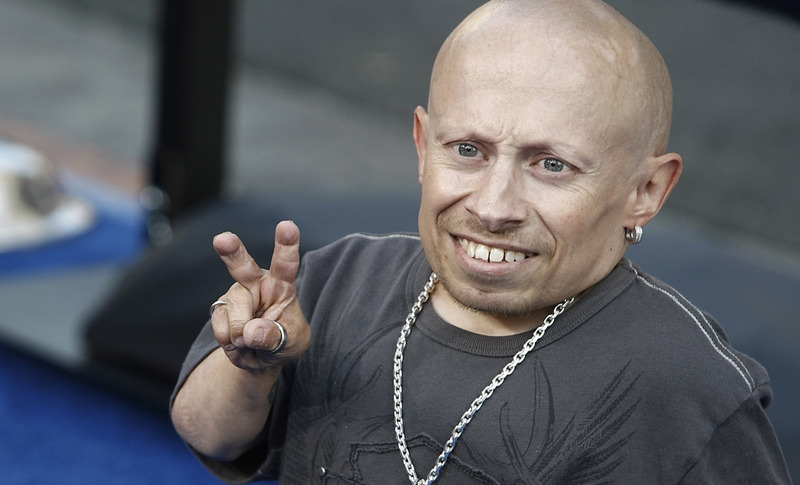 Verne Troyer, best known for his comedic role as Mini-Me in two of the three Austin Powers movies, has died. He was 49. Troyer starred alongside Mike Myers as the one-eighth-size clone and silent sidekick of villain Dr. Evil in 1999's Austin Powers: The Spy Who Shagged Me, and played Myers' tiny archenemy in the franchise's third installment, 2002's Austin Powers in Goldmember. He also portrayed the banker goblin Griphook in 2001′s Harry Potter and the Sorcerer's Stone and appeared in another Mike Myers film, 2008's The Love Guru. "Troyer was born in 1969 in Sturgis, Michigan with achondroplasia, a genetic condition that kept him less than 3 feet tall," reports the Associated Press. He'd openly battled depression and alcoholism, adds the AP. Celebrities expressed their condolences on social media. Mike Myers paid tribute following his co-star's passing, in a statement tweeted by Ryan Parker, a writer at The Hollywood Reporter. "Verne was the consummate professional and a beacon of positivity for those of us who had the honor of working with him," Myers wrote. "It is a sad day, but I hope he's in a better place. He will be greatly missed."